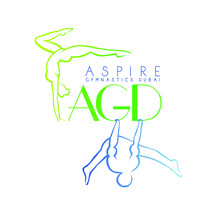 Aspire Gymnastics Dubai offers artistic and rhythmic gymnastics to children (3+ years) and adults, both girls/ladies and boys/men from recreational to a competitive level. Our qualified coaches endeavor to assist our gymnasts to develop to their optimum level of performance, a mission that goes beyond gymnastics. We focus to educate independent, self-confident young individuals, by teaching them skills that will help them to accomplish whatever they ASPIRE to attain. Aspire Gymnastics Dubai follows the New USA Junior Olympic Compulsory Program for 2013-2020, as well as prepares its higher level gymnasts to compete according to FIG standards. New gymnasts are welcome to join Aspire Gymnastics at any point during the upcoming term as long as there is availability.